Royal icing for cookies is an easy recipe if you plan ahead just a little and get the measurements and the timing correct, it works every time! 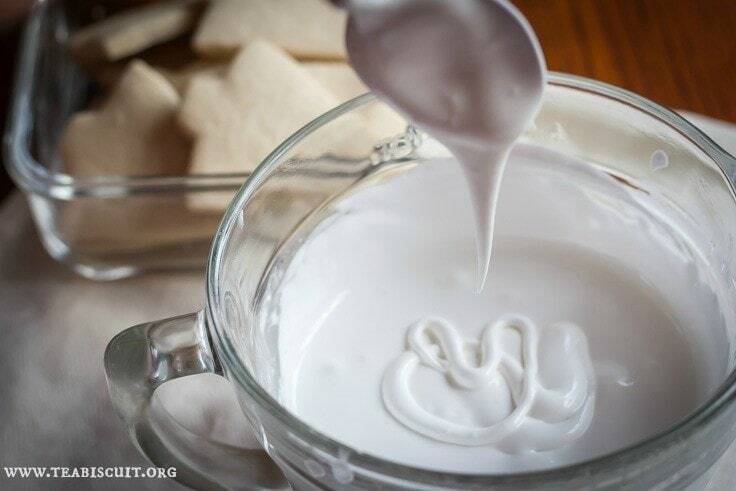 I’ve been making this Royal icing for cookies recipe for years. It’s tried and tested and works super well to make cookie icing that hardens. Step 1 – Add your powdered sugar a bit at a time so it doesn’t make a big mess, then mix slowly until the sugar and liquid is all blended together. Step 2 – Set your stand mixer on the medium/high setting and set a timer for 4 minutes, the timing is crucial so don’t forget this step. Step 3 – After 4 minutes check to see if the icing is forming stiff peaks (like you see in the image with the stand mixer below) if not beat for a minute more. Step 4 – Cover the royal icing right away as it will harden if left uncovered, I like to use Press ‘N’ Seal as it works better than plastic wrap. Un-thinned royal icing made with meringue powder will keep in an airtight container for a couple weeks on your counter, you do not need to refrigerate it. The first thing you need to do before you make your Royal Icing is figure out how much you need. This batch of icing will make enough for 30-50 cookies depending on the size of your cookies. The next thing you need to do is decide how many colors you want to use, and then get ready the correct number of bowls so you can mix it all up. Be sure you have cling wrap ready so that you can cover them as you go. Spoon out the total amount of already made Royal icing you need into one separate bowl. Start to thin that out by adding water, a tiny amount at a time until you get the consistency you desire. The consistency that you want for simple cookie decorating is for 15-20 second count icing. All that means is that if you drizzle the icing back into the bowl with a spoon (like you see in the photo below) it will take 15-20 seconds for the line of icing to disappear back into the bowl. Do this by hand and do not overmix or you will incorporate air bubbles which will be annoying to deal with when you try to decorate your cookies later on. Don’t rush this part or you will regret it later! If it’s too thin, it will disappear faster than 15 seconds. In that case your only option is to add more stiff icing to the bowl and mix again. If it’s still to thick, just keep adding tiny amounts of water until you get it just right. I usually make my gluten free cut out cookies a day ahead as I’ve had problems in the past with the butter/fat from the cookies bleeding up into my dried icing resulting in a stain on the cookie that can’t be fixed. That is the definition of a very bad cookie day! There are many theories regarding the cause of this but it is definitely more of a problem for me in the hotter months. I rarely have this issue now as I’ve found that baking the cookies a day ahead usually prevents it, and as I mention in my list of cookie decorating tips, using a fan to dry the icing also helps prevent this. Once I’ve thinned out my icing, then I will divide it up again into smaller bowls in order to add the colors. I use the ‘Press ‘N’ Seal’ cling wrap to cover the bowls as you really need it to be airtight or the icing will start to dry in the bowl. Regular cling wrap does not seal as well and I’ve had a few mishaps over the years with half dried bowls of icing! Then, simply add in one or two drops (depends on the amount of icing) of food coloring and slowly mix until the color is evenly distributed through the icing. I prefer the Americolor brand as they have a great selection and they are easier to work with than gel colors. Can I make Royal Icing without Meringue Powder? If you live outside of the USA it may be tricky to find meringue powder, so then your best option would be to use a recipe that uses egg whites instead. How long does it take for royal icing to set up? Royal Icing for Cookies will take between 8-12 hours to fully harden. This exact time for it to set up will vary and depends how thick the icing layer is, and will be affected by heat and humidity. 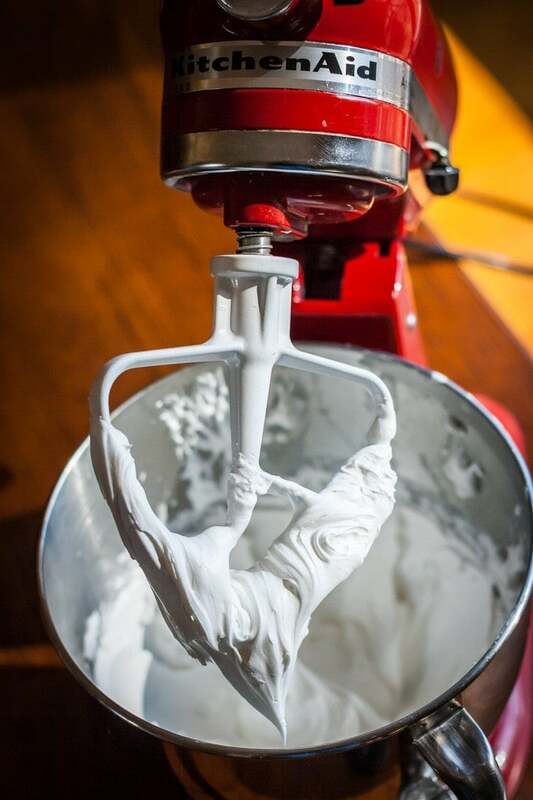 What Makes Royal Icing Hard? Egg white, which in this recipe comes in the form of meringue powder, is what makes Royal icing dry really hard. If you simply mix powdered sugar with water it will not dry hard like royal icing made with egg white. Is Royal Icing Hard to use? I think the issues most people have with Royal Icing for cookies is that the consistency is wrong and then it may not behave the way they expect it to, or dry as hard as they had hoped. Is it Safe to Eat Royal Icing? 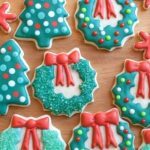 This royal icing for cookies recipe is very safe to eat and poses no food poisoning risk as it is made with dried meringue powder and not raw eggs. 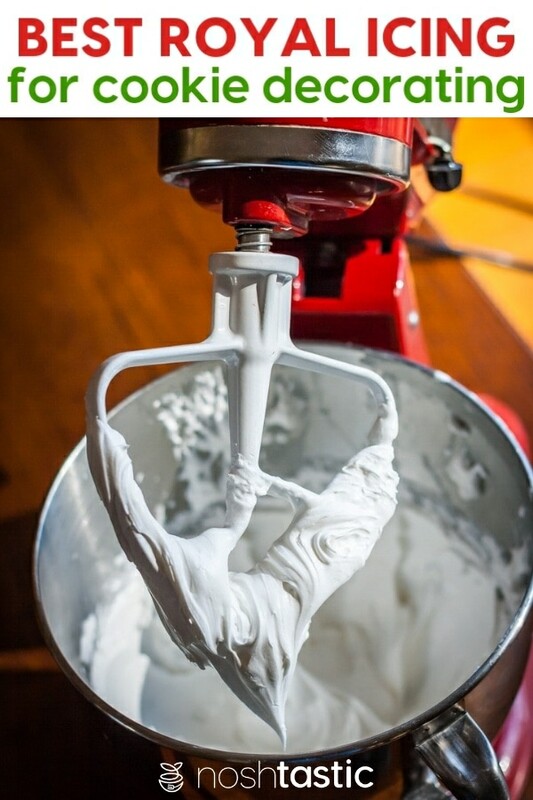 If you prefer to make royal icing with raw eggs rather than meringue powder just ensure that you used pasteurized egg white to minimize the risk. You must use a good cut out cookie recipe, it’s so important that the cookies hold their shape and do not spread! This is my Gluten Free Cut out Cookie Recipe which works great for cookie decorating. 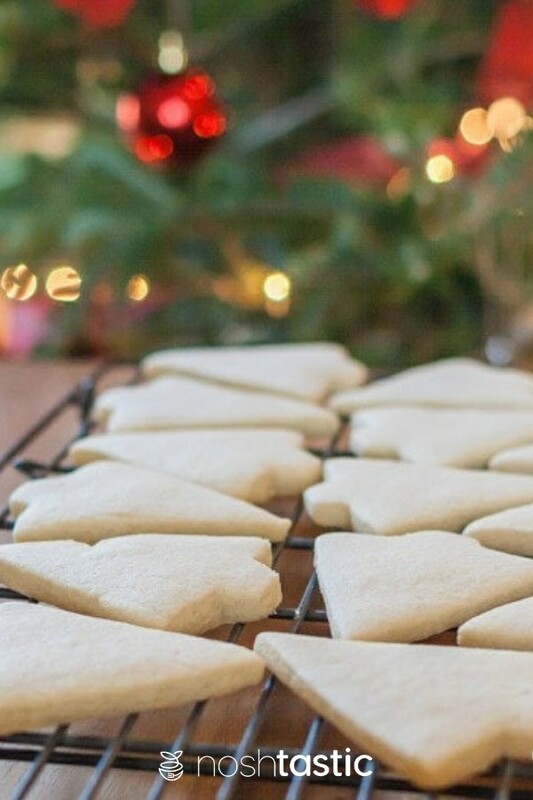 If you are not gluten free then I recommend this cut out cookie recipe instead. dark colors like green, black, and red, can taste bitter, so don’t over do the colors and only use in small amounts in your cookie decorating. Americolor have a ‘no taste red’ color which is great! TOO MUCH COLOR – if you add too much color to your icing (especially darks) there’s a risk that your icing will not dry fully, this has only happened to me a couple times when I was trying to make the color darker. USE A FAN – when you’re drying your cookies it’s a great idea to use a table top fan or one on a stand to help dry the icing, you can leave it on for a few hours to help speed up the drying process. SUNLIGHT – Do not dry the decorated cookies in direct sunlight! The fat from your cookies will soften and bleed up into the icing causing greasy spots to appear. I learned the hard way with cookies left out on my dining table in the sun, they were dry but they looked terrible! KEEP IT COOL – If you live in warmer climates then make sure your room is not too hot and humid as this will slow drying and may cause the same issues with the cookies drying in the sun (see above) put the AC on if you need to to help with both these issues. DRYING TIME – how long it will take for the icing to fully harden will vary and depends on how thick it is, the temperature of your room, and similar factors like that. Be prepared to leave them over night to dry, then test them the next day. STORING DECORATED COOKIES – decorated gluten free cookies will keep for a couple of days. The shelf life of a gluten free cut out cookie it a lot less than a regular cookies, which will still be edible a couple of weeks after decorating if you keep them in an airtight container. How to Make Royal Icing for Cookies with ONLY 2 Ingredients! it's gluten free and dairy free too. Add in the meringue powder and water into the mixing bowl of your stand mixer and beat together for a few minutes until frothy. Add in the powdered sugar and mix together slowly until all the liquid and powdered sugar is combined. If you have a stand mixer set it at a medium high speed and beat it together for 4 minutes with the paddle attachment, don't forget to set a timer! Your icing should have semi-stiff peaks (see photos in post) when the icing is ready, not floppy peaks! If the icing is not quite stiff enough then watch closely and beat for one more minute and check it again. Icing (not thinned with water) made with meringue powder can be kept on the counter top in an airtight container for a week or so, it may require a little remixing after a day or two as the water can separate on the bottom of the bowl. Thanks Nikki, It’s a great recipe for cookie decorating and works really well for me! Okay, I had never heard of this powder before now – or at least never knew what it was. Now I’m going to search for it next time I’m at Michael’s! And yes, those coupons are awesome – right?!?! The coupons are great! I live close to Michaels so I sometimes go just for one thing (like the meringue powder) and use the 40% off coupon to buy it. What a beautiful icing! So easy too! What a fun thing to bookmark for gingerbread houses!! Hey Sheena – I recently made royal icing with the same ingredients but it became full of air bubbles and never set. The cookies were ruined and I was so upset as it was for a gender reveal party for my son and daughter-in-law. What do you think I did wrong? Too much water, over beating? It just stayed sticky and never hardened. Thanks for any help! Hey Tricia, I always put a timer on and basically stand over the mixer until the timer goes off, it only takes about 4 – 5 mins tops, over beating will cause issues. If your icing is too runny it can be prone to having air bubbles in it, if there’s only a few I pop them with a toothpick. Sometimes if you use too much coloring, (especially dark colors like red, green or black) the icing can become kind of foamy and never dries, I’ve had that happen once or twice and there’s nothing that can be done 🙁 If you’re using dark colors and you don’t think you have enough color in your icing you can cover the icing and let it sit for a while and it will darken a bit more in the bowl. Thank you for the recipe! I’ve been on the lookout for a good royal icing and yours looks perfect! I LOVE royal icing! It’s so fun for making cake decorations! Thanks Elise, I love it too! Any tips, suggestions, recipes for not ruining your icing with darker colors?????? Hi Wanda, I think the most common cause for the icing not working with dark colors is if you add too much coloring (and usually that means it doesn’t ever dry) I would add a little at a time and if you need to let the icing sit (covered) to allow the colors to darken a bit, they will darken a little more as they dry too. I’ve had it happen to me a couple of times in the past (with reds and greens) and so now I’m just cautious not to overdo it with the colors. Do you use liquid or gel coloring? Hi Elaine, most of the time I use Americolor which is liquid, you can buy a small selection of it in Hobby Lobby but I usually order it online (see the Amazon links in the post) I also have some Wilton gel colors and they work too, but I like the range of colors from Americolor so that’s my preference. Have you used all natural powder colors for this? Hi Manju, I have not as they are not available locally, I’d be interested to try them though. How much water would you add to make this into an icing you can use for “flooding”? Thanks! Hi Rebecca, it really depends how much icing you have and I don’t measure the water. 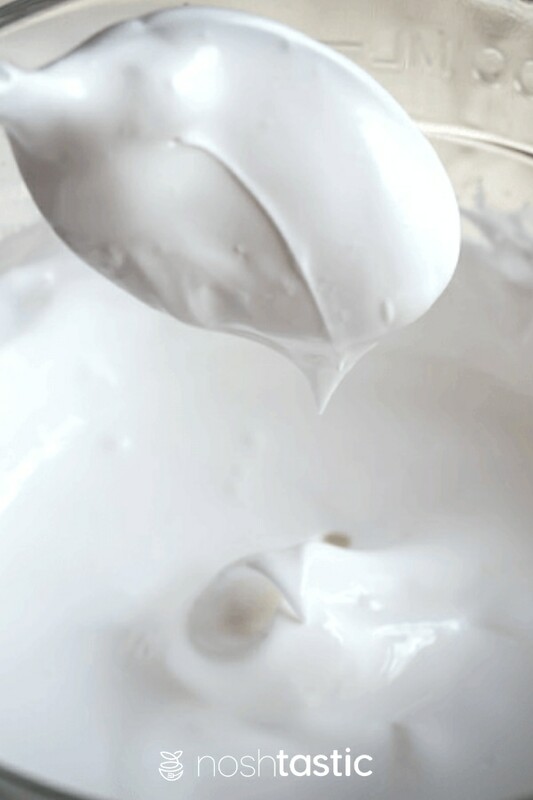 What you want to get to is the ‘second count’, so how long it takes for a drizzle of icing to disappear when you drizzle it back onto the icing in your bowl, you get that by adding small amounts (tsp or less) of water at a time and then mixing it in, then testing the consistency to get the second count you want. Most of the time I use 20 second count icing (like you can see in the turorial linked at the end of this post) but if I want to make flood consistency then I will make it about 12 – 15 second count icing. If your flood icing is too thin it can be prone to getting a lot of air bubbles. Hey Joann, It takes probably nine hours or more to dry, you may be able to speed it up if you have a small fan to help speed up the drying process. What if you don’t have a stand mixer. Does it work the same with a hand mixer? How many grams of meringue powder do you use for this recipe? I have a 1/2 measuring cup but it hard to tell how much I need. Therefor the best for me is by grams. How many cups of icing does this make? I use a similar recipe but this looks like it is double since I only use 1 bag (8 cups) of powdered sugar. 🙂 Thank you! Hey Jen, great question! 🙂 I think I’m using the same amount of powdered sugar that you are, eight cups of powdered sugar weighs about 2 lbs which is the size of bag I use, but maybe you are using a smaller bag? To tell you the truth I have never measured it in cups when it’s finished. It fills about 1/2 to 3/4 of a five quart kitchen aid mixer bowl so I’m guessing about 8 cups? Not 100% sure though. It will decorate about 35 – 50 cookies, it really depends what size the cookies are and how much icing you use. My granddaughter and I had a great time making your royal icing recipe. I didn’t come into any problems while making it. I’m definitely going to tell my decorating friends about this recipe. Can I add flavoring to the icing? This is how I make royal icing, too, but somehow, my cookies don’t look exactly like yours! Haha! Hi Sheena! When do you add the coloring? I add the coloring when I thin the icing down for decorating. The only exception would be if I’m on a massive cookie decorating spree and I know that I’ll need a whole batch of one color (like red or green for Christmas cookies) then I might add it directly to the mixer at the start, but I don’t typically need that much of one color. 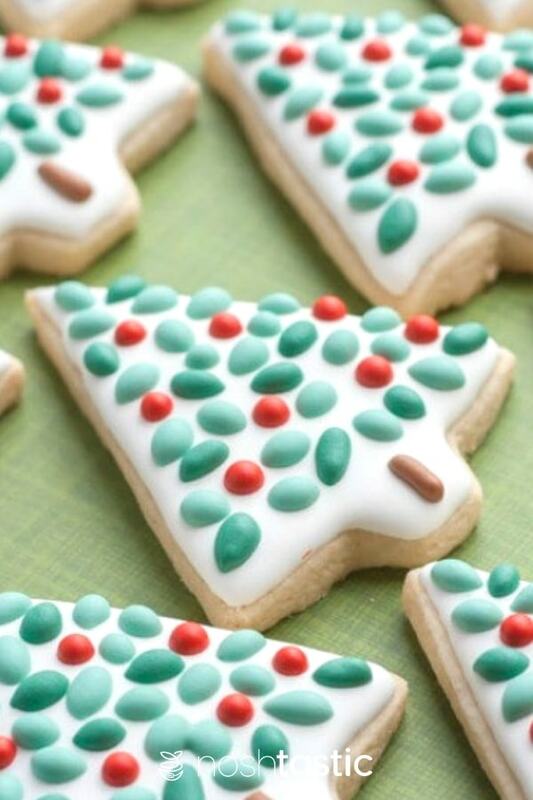 Your photography is gorgeous!I’m using this recipe for decorating my Christmas cookies this year!!! You can also use JoAnn coupons at Michaels. Sometimes they have a 60% off one which is great! Love your instructions. Cookies look great! Hi Cheryl, I didn’t know that you could use JoAnn Coupons there, that’s good to know! I was at Michaels yesterday getting cookie decorating supplies and the line was halfway up the store! Hi Kay, I don’t know what it is in cup measurements, but if you live in the USA one bag of powdered sugar is 2 lbs. First time making royal icing so I am trying to prepare.Do you thin out all of the icing you’re going to use for the outline or just the icing you’re going to fill in? For the flooding icing- do you pipe that as well or just kind of spoon it on then spread it with a toothpick? I had read someone else using wrap to seal the icing but they mentioned making sure the wrap touches some of the icing so it doesn’t harden? Thanks! Do you know about a good cookie recipe? Yes, I have a gluten free cut out cookie recipe that’s linked up above in the post a couple times. If you are not gluten free then search on the internet for the cut out cookies recipe on the bake at 350 blog, it’s an excellent recipe. For Paleo, have you ever used powdered xylitol or erythritol? Hi Donna! So I have used erythritol for my low carb recipes but I’ve never tried xylitol as it’s known to cause gastrointestinal issues so I don’t want to risk it as I already have enough issues there (I have Celiac Disease). If you are asking if you can use either of those ingredients for this recipe I think the answer would be no, I don’t think the powdered low carb sweetener will behave like powdered sugar for this recipe, but that said, I’ve never tried it. Years ago I used royal icing when I was decorating cakes before my children were born and when they were very little. Life got crazy and now I’m a grandma wanting to make special cookies for my two little angels. This is my first foray w cookies. 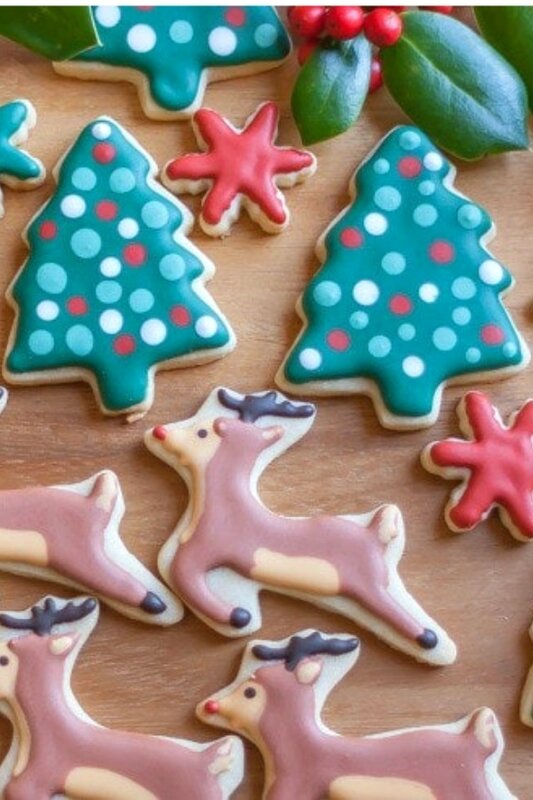 I’m wondering if you’ve used your royal icing to dip cookies into as an option instead of piping and filling. If so, do you have any suggestions? BTW, you gave fantastic instructions and suggestions to make this work. I can wait to start this week. Hey Denise! That’s so sweet to make cookies for your grandchildren, I know they will love them! So yes, you can dip the cookies into the icing. You need a steady hand and you need to be able to hold them on the edges and dip them while keeping them as horizontal as you can and avoid having your fingers over the edge of the cookie which will mess with the way the icing is around the edges. You’ll get a feel for it once you try I think, but it can be a little tricky. I’m so glad I read this article. Cookies are baked but I don’t know how to make icing… now I do. Article is well written and completely easy to understand. Christmas cookies… here I come! Hi! I love in Guatemala! Could you give me your preferred royal icing recipe with egg whites? Thank you!!! Can I freeze the unused unthinned frosting? Maybe we didn’t use enough on our cookies but we ended up with 5 times too much and the meringue powder was costly I’d rather not waste it but we probably won’t need it for months. Will it work after being frozen? Hi, you don’t need to freeze the unthinned icing it will keep on the counter in an airtight container for several weeks. 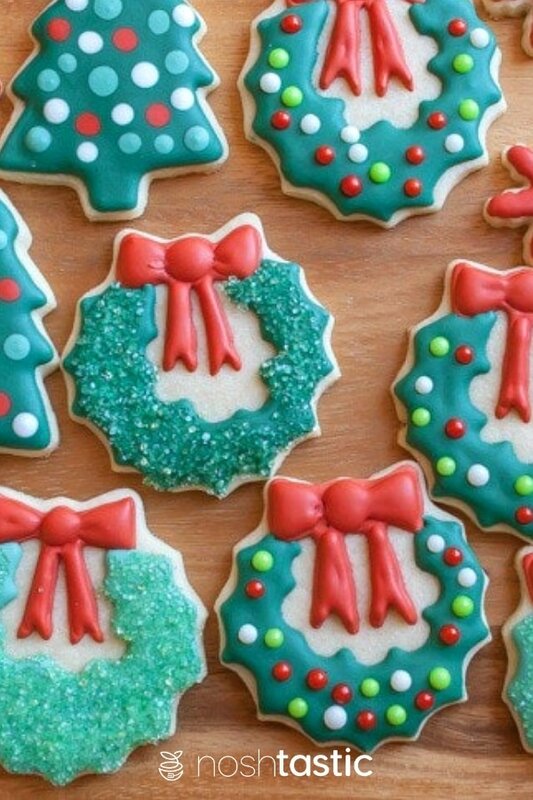 You can freeze the decorated cookies. I have never frozen it and then used it to decorate so I have no idea if that will work.